Dubai: Emirati boxer Majid Al Naqbi won in style on Friday night in Dubai, defeating his opponent Vladimir Lytkin via TKO in the fourth round of his professional debut. In the presence of Shaikh Mansour Bin Mohammad Bin Rashid Al Maktoum, President of Dubai International Marine Club, who was sitting ringside, Al Naqbi made an impressive account of himself considering the weight of responsibility placed on his shoulders. 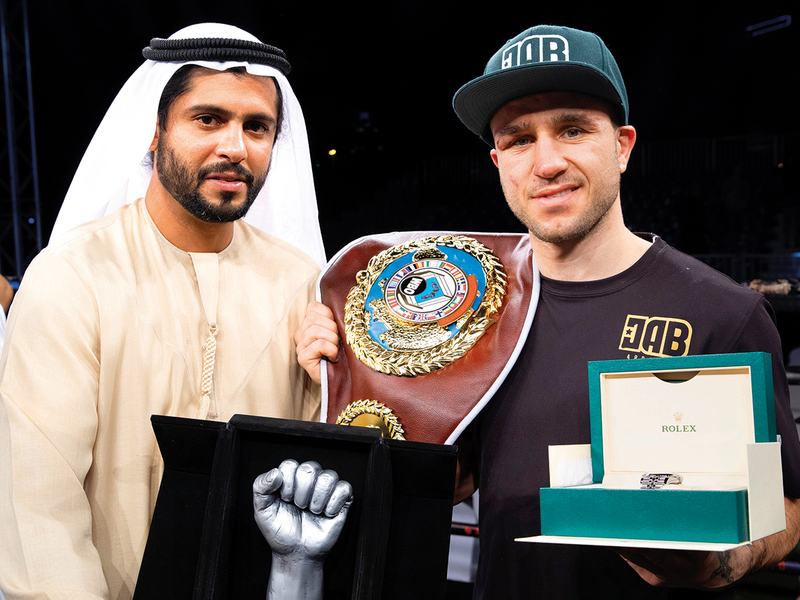 Before the fight began, Ahmad Seddiqi, the founder of Round 10 boxing — where Al Naqbi trains — took a deep breath in anticipation of the Emirati’s arrival. 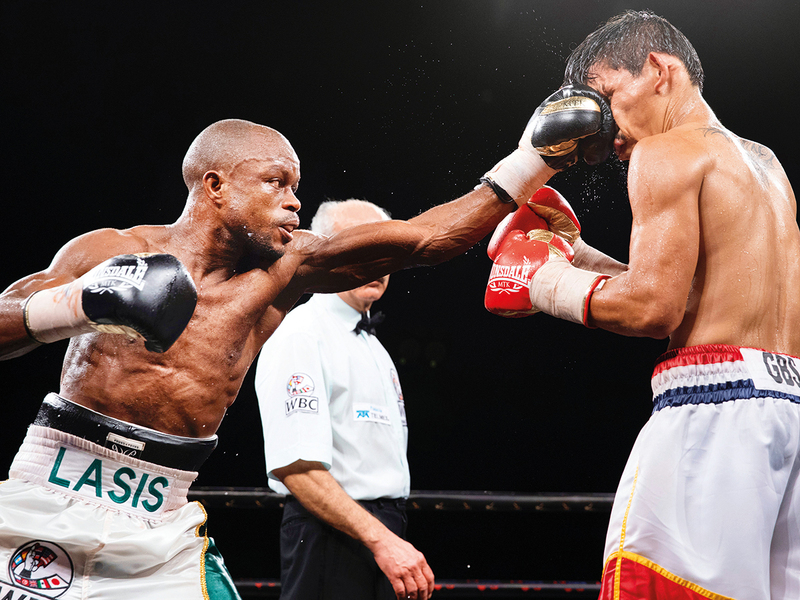 Quick to start, the aggressive Al Naqbi was clearly excited to be making his debut in the emirate, charging forwards and landing a number of cracking uppercuts on his Russian opponent in the first round. That said, the boxer stuck to his basics — never overeager to impress — staying tight even when he was wildly unloading punches on Lytkin, who was up against the ropes by the end of the first round. Lytkin did well to rally, refusing to be dispatched early on, hitting Al Naqbi clean to the body as he found his defence wanting. But the Russian was ultimately outclassed and overpowered, finding himself in trouble by the fourth round. Bloodied and battered, Lytkin fell to the canvas in response to a strong uppercut from Al Naqbi. Despite making it back to his feet, Lytkin was dropped again moments later by a thudding body shot. The referee waved the fight off as Lytkin lay on the canvas, Al Naqbi celebrating emphatically on the other side of the ring. 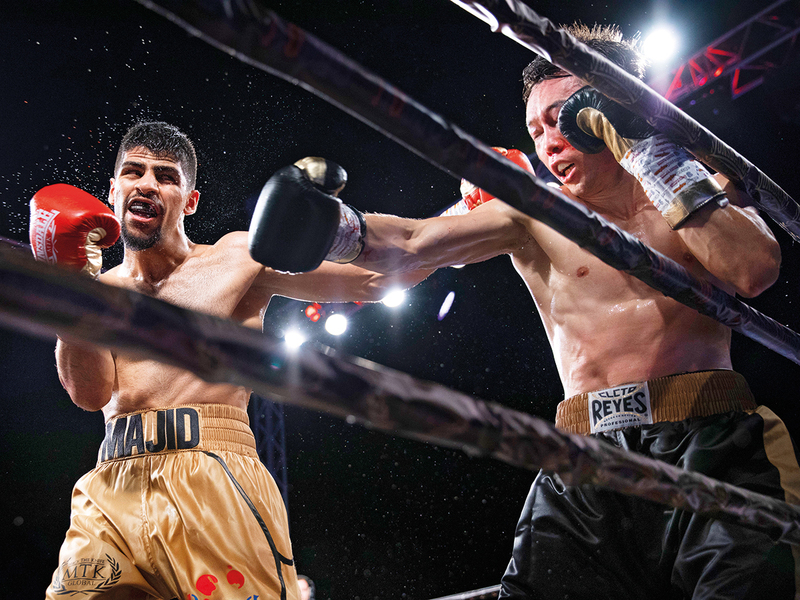 After the fight, Al Naqbi said his professional debut felt like a different experience to amateur boxing.